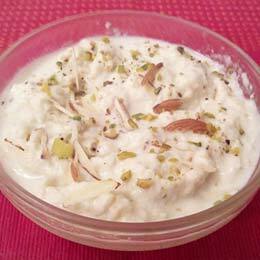 Badam kheer is a superb sweet dish recipe which is not only loaded with great taste and thick creamy texture but also the goodness of badam or almonds. 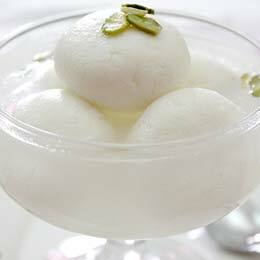 This is one sweet the Bengalis cannot live without, and you too are sure to fall in love with it once you taste these super-soft, milk-white rasgullas. Remember that everything matters in the making of perfect rasgullas -- from the amount of lemon juice used and the lump-free kneading of the chenna, to the consistency of the sugar water. 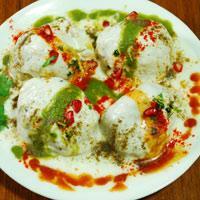 So, follow instructions perfectly and you will end up with praise-worthy rasgullas. 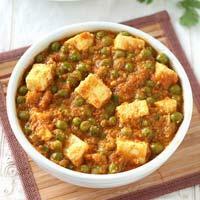 Once you get the hang of it, it becomes quite easy and you will be game to make it very frequently! 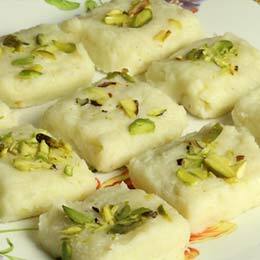 Milk burfi is an instant sweet dish recipe with the milk curdled by use of lime juice and then the paneer extracted is cooked with sugar, milk powder and blanched nuts. 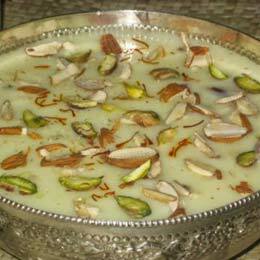 Garnish the flat milk burfi with pista shavings. 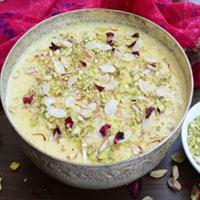 Rabdi is a perfectly proportioned combination of milk and sugar, thickened in a broad-bottomed vessel. When making rabdi, it is very important to keep scraping the sides of the pan at all times, otherwise the sides will burn. Moreover, if you forget to scrape the sides, the rabdi will also not become thick as the scraping of sides is what thickens the rabdi. 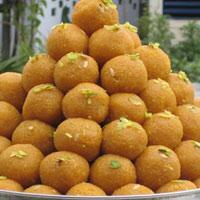 In this book, I have used rabdi to make carrot cr�pes with rabdi and other such delights.